Award-winning illustrator Richard Wehrman was born in St. Louis and attended the Washington University school of fine arts. His paintings have been exhibited at the Saint Louis Art Museum, the St. Louis Artists' Guild, and Washington University. He was chosen as Rochester's Communicator of the Year for illustration and has received a gold medal from the Society of Illustrators. Richard serves on the board of directors of the Heartwork Institute and lives in Upstate New York. "The Banyan Deer shows that the lives of all living beings are equally important." "A sweet and sensitive story of courage, sacrifice and kindness." "The narrative of a deer king who lays his life on the line not only for his own people but for all creatures, this story is a tale for all ages, with many subtleties layered beneath its surface. Though this is originally a Buddhist story, the text does well regardless of belief system (or lack thereof). The Banyan Deer is a welcome addition to any collection." 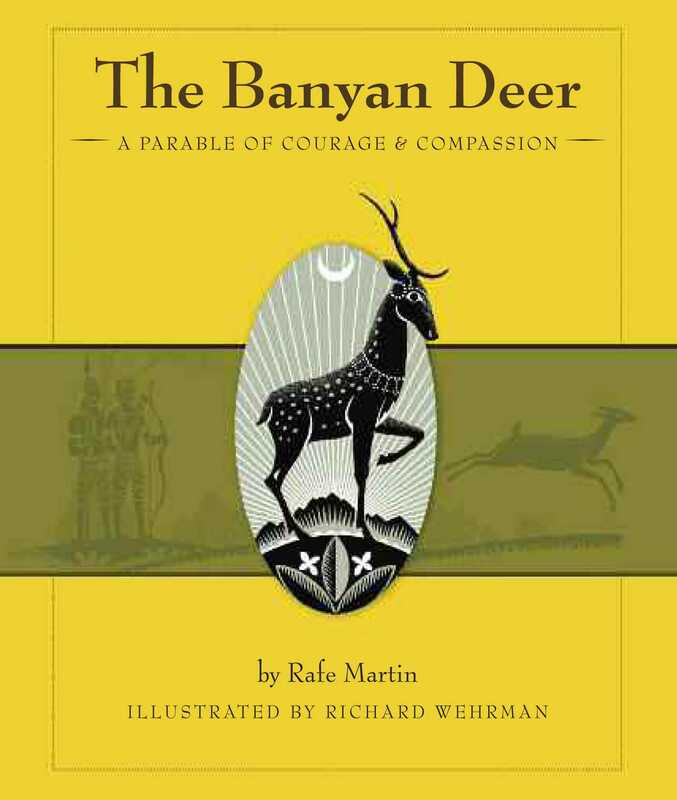 "The Banyan Deer by Rafe Martin, a gifted storyteller and award-winning author, is the ultimate story of courage and compassion… In less capable hands, this story is instructive but hardly riveting, but in Martin's it's a page-turner."